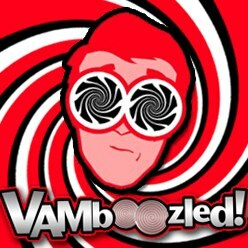 The Gates Foundation’s Expensive ($335 Million) Teacher Evaluation Missteps | VAMboozled! This entry was posted in Research and tagged Consequences, Consumer Alert!, Costs, Gates, High Stakes, History, Research Study, States, US Dept of Education by Audrey Amrein-Beardsley. Bookmark the permalink. What a waste of time and money. The concept of effectiveness in teaching was tied to one size fits all data gathering, scores on flawed observation rubrics, achievement measures tied to standardized tests, student surveys loaded to reward teachers who conformed to a narrow vision of effective teaching (e.g., as sage on the stage and giver and checker of homework assignments), implicitly rewarding students for correct answers to questions asked by others and so on. Teacher effectiveness, as measured by economists in charge of the MET project, is a variant of measures of worker productivity in a factory. The whole venture also negates the value of studies in subjects for which correct answers are less important than nuanced judgments. It pains me to know that the Gates Foundation is now tinkering with curriculum and supporting governance stuctures designed to suppress public voice in public education. To me, this report is just as damning of the Danielson framework and its efforts to push engagement over other elements of teaching/learning. It no longer deserves the label of “gold standard” in teacher eval rubrics. Audrey Amrein-Beardsley, thanks a lot for the post.Really thank you! Much obliged. I guess (?) you always need research but a little more than frustrating when one considers the millions of wasted dollars (that I could have used 🙂 and when the results turn out exactly the way teachers on the front-line in the trenches have been saying for years: it [these so-called “reforms”] won’t work! (because the issues go beyond effective teaching, they are multi-varied, dynamic and extremely complex). I think there definitely are solutions– not pie-in-the-sky 100% student achievement solutions, mind you– but solutions none the less as informed by cognitive science. But unfortunately few people seem to want to face the consequences and hard work of it: e.g. the only scientifically known way to “catch-up” students who are behind and close/narrow the achievement gaps is the same for anyone who is behind: more long hours of work/education than their peers- equal classroom time only widens the achievement gap (as explained more below). Did action research to narrow special ed-regular ed student achievement gap but at a high price of extreme resistance along with the obligatory blood, sweat and tears. Used combo blended learning (not the only way to accomplish) + mastery learning that is done the right way (a key component) to hold students accountable for learning (another key component) via online learning system that required students to continually repeat the content learning until demonstrated mastery…. Average student could master content in one chapter online in about 2 hours while some special ed took as long as 10 hours. It was brutal but barring irreparable organic disorders that severely limit learning progress those students who stuck with it through blood, sweat and literal tears progressively improved from 10 to 6 to 4 to 2 hours per chapter and some even ended up excelling beyond their “regular” ed peers and the increase in classroom participation, understanding, interconnections, critical thinking and boost to personal confidence they acquired was worth it. Many students simply don’t understand how truly hard you have to work especially in the beginning and the students who most need to spend this enormous amount of extra learning time are also the ones least likely to put in the time (e.g. reinforced failure per above; demographics/Maslow’s hierarchy of needs- some students such as in poverty situations are understandably less concerned about education- seen as a luxury even if it is a potential long-term solution- and more concerned about day-to-day practical survival)…. Unless….there is an assured system of accountability in place AND support for students/families* (although see note below). But we lack adequate support systems and few people at least in the US (teachers, parents, admin) seem to want to hold students to such high levels of accountability (teachers and unions make easier scapegoats) and some even think it’s “cruel” and unreasonable to do so. Plus, the teachers who try but lack sufficient support will find themselves exhausted by the student resistance encountered, parent complaints (which are reversed to praise for those who stick it out and trust you/what you are saying needs to be done), admin breathing down your neck if anything simply from the fact they don’t like to be bothered by parent complaints (who does? ), and in extreme cases job loss, so who wants to risk that….And on top of this are the many important philosophical, pedagogical and practical questions raised from change agents and psychology of introducing new status-quo-challenging changes in ways that promote buy-in to student choice in learning to traditional education to work ethic and more. Anything worth having, though, usually comes at the cost of much blood, sweat and tears (ask any PhD-earner or world-class expert in anything how they got there)–that’s often what gives it value and makes it worth having. *Note/caveat: you won’t get 100% achievement though because of the same learning curve, because of different individual priorities and because students who outright refuse or simply don’t want to can find ways around–I remember one student who still found a way around not learning even with parent & teacher employing “stand-over-your-shoulder” type accountability.